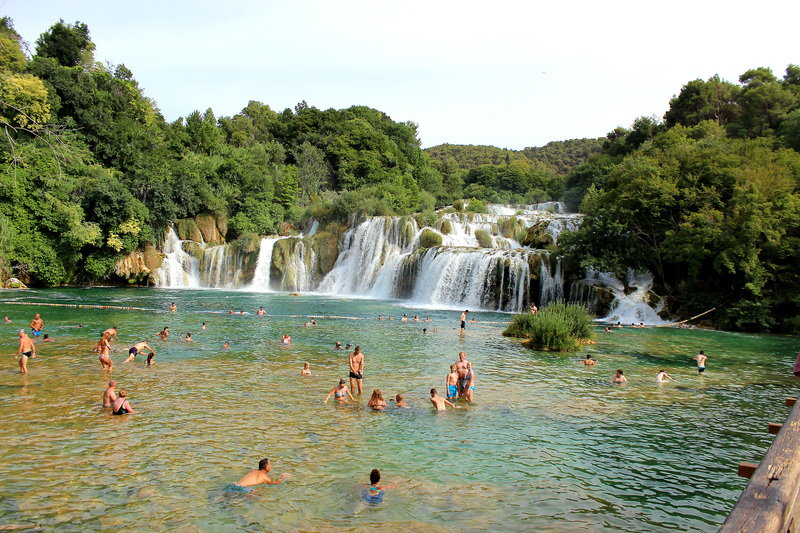 Welcome to Day 2 of my Croatian adventure with ASOS, Slydes and Croatia Wave! So this is the second post from my #AAAinCroatia series (see my instagram diary from the whole trip and Day 1’s post here!) 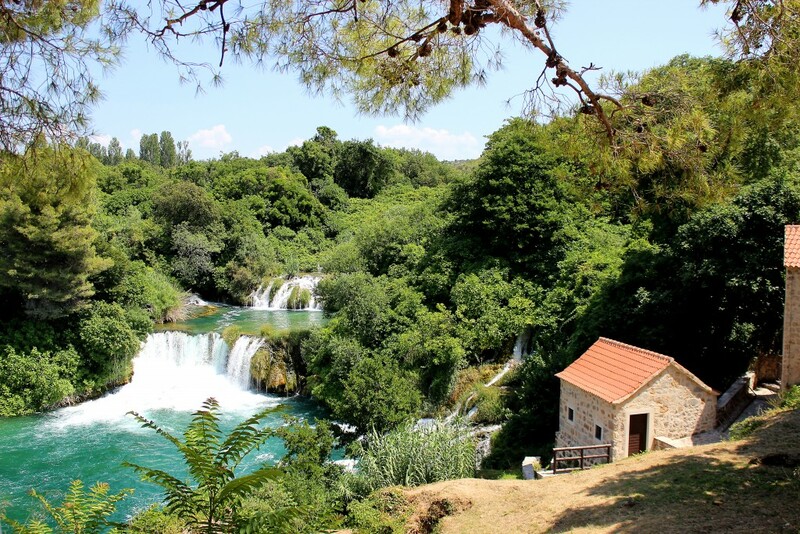 all about the Krka National Park and our night at Fresh Island Festival! 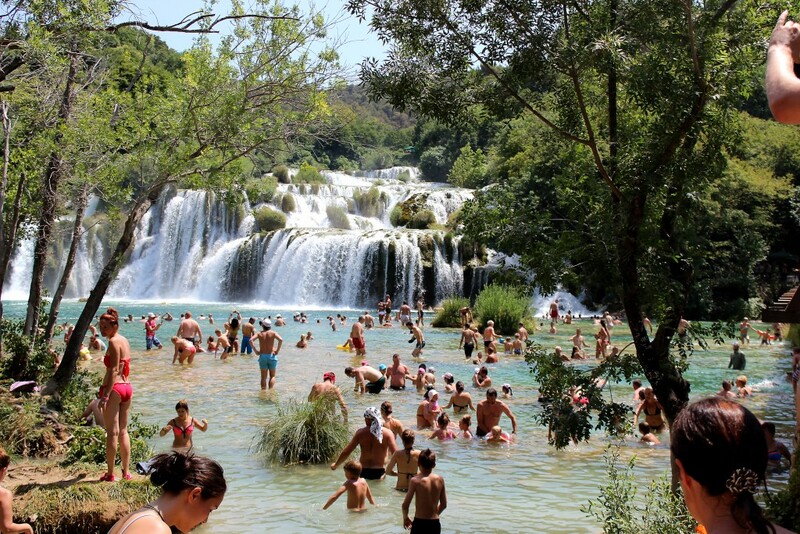 When you google ‘Croatia’ the Krka waterfalls will be one of the top photos that comes up in your search – thousands of people visit there every year to swim and take in the pure beauty that is the national park. 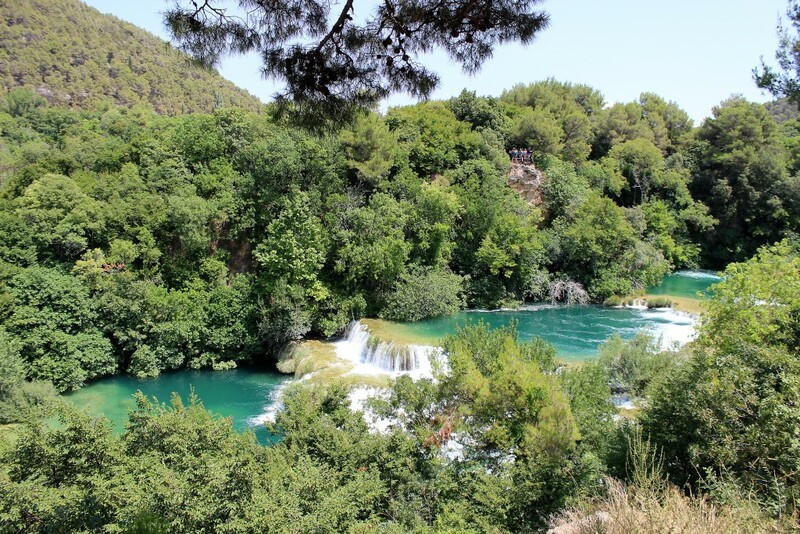 Krka National Park (110kn entry- around £11 per person for the day) was around a 1.5 hour drive from our villa in Pag which was made very comfortable indeed with our Croatia Wave minibus complete with super strong air con and wifi – technology ey! We took a stroll through the park surrounded by super green trees walking across wooden bridges over streams and looking at the wildlife swimming in the water and up in the branches. It was absolutely beautiful to experience, and that was before we’d even seen the falls. Measuring our steps with my Fitbit HR…and we certainly racked up some serious numbers here! 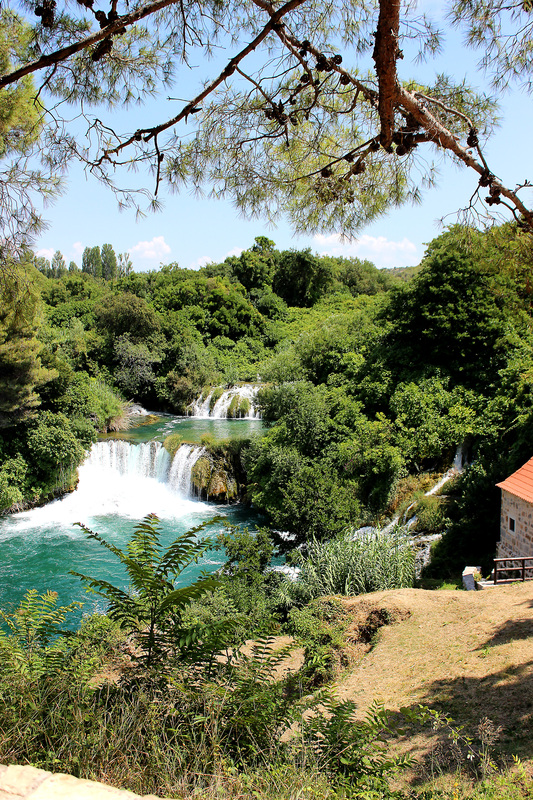 Even with my SLR I was still unable to capture the true beauty of the Krka Waterfalls – they were the most stunning thing I’d ever seen. 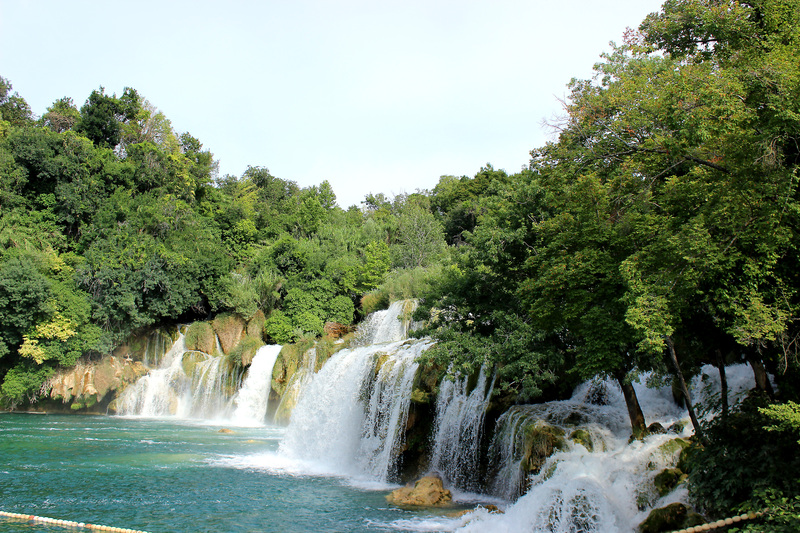 With the sunshine glistening off the teal blue water and the sound of the falls ahead of us, it was a like a secret cove in the middle of paradise that was calling us in. 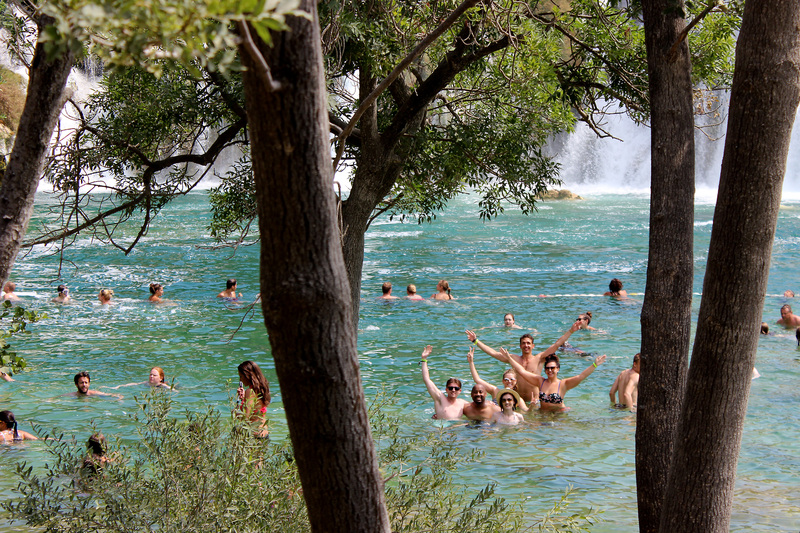 Although the park was busy on the day we visited and there were lots of other people enjoying the falls it didn’t feel crowded or noisy for a second and it was amazing to be surrounded by so many other visitors who were bathing in the beauty of the park too. I’m not going to lie, I was petrified getting in that water! Not being a sea girl swimming in unknown natural waters with rocks and wildlife beneath me was a big step. But I climbed in and swam around for ages loving every single second and feeling so privileged to have been given such a beautiful and breathtaking experience. Who knows, you might get me in that sea yet! After our swim we dried off (very quickly!) 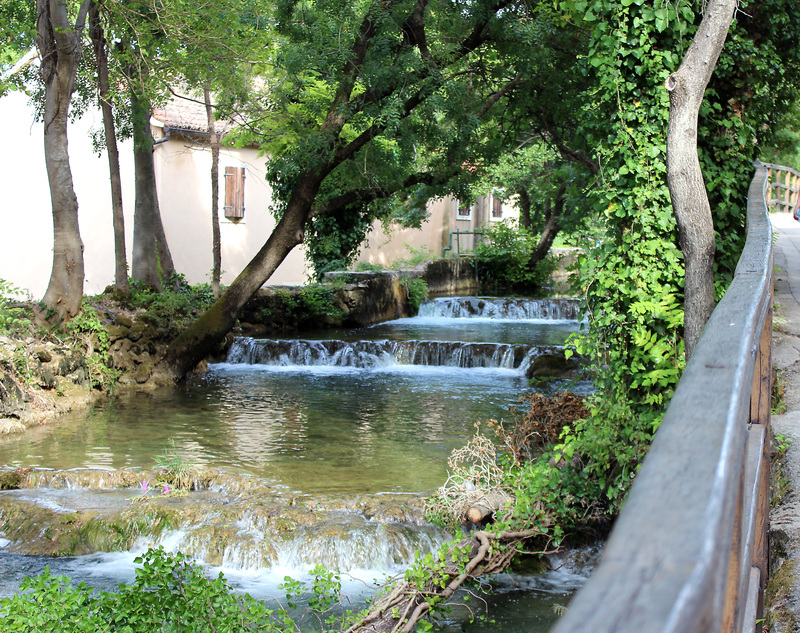 in the near 40oC Croatian heat and grabbed a bite to eat and a well deserved beer in one of the restaurants by the falls. 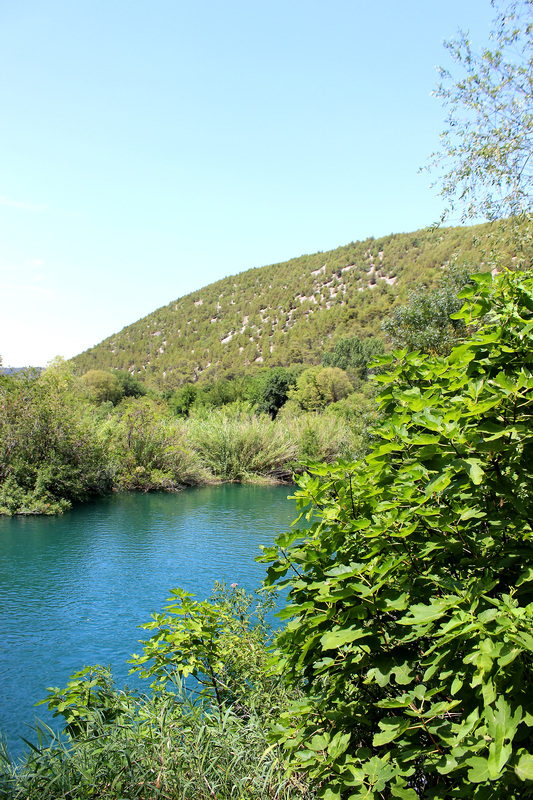 On our way back up we stumbled across a part from one of the world’s very first hydroelectric power plants which was here in Krka in 1895. 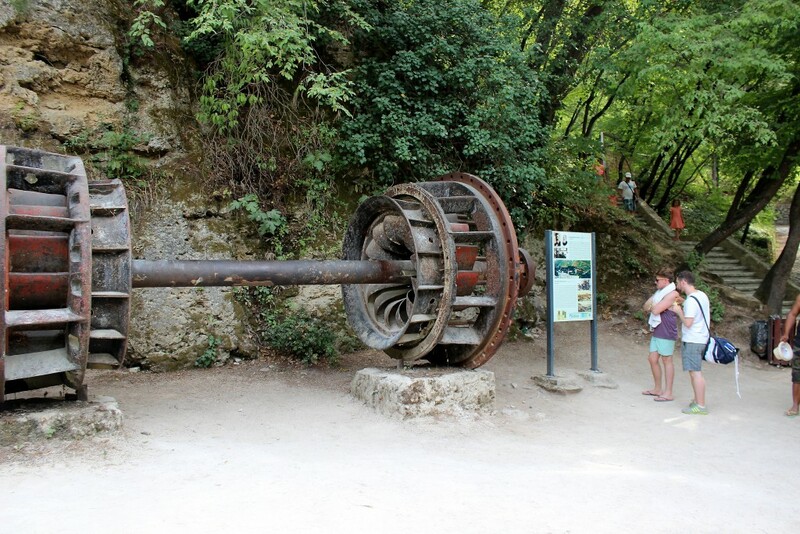 Th plant was heavily damaged in World War II so the plant and its subsequent parts in the park are now a protected industrial architectural monument – fascinating, love a bit of history! 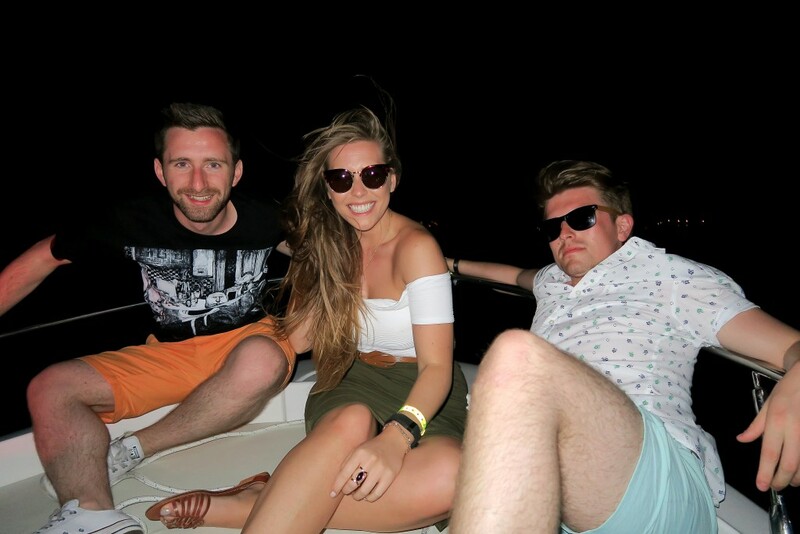 After climbing back up to our mini bus we headed home to get ready for dinner and a night at Fresh Island Festival! Dinner was at a local restaurant in Pag old town called Star Solana where we had a feast of fresh seafood and Blitva – a traditional Croatian garlicky spinach and potato dish that was right up my street! With whole sea bass, Shrimp, Octopus and more we all got stuck in over a few bottle of ice cold Croatian Wine (read more on that in Day 1’s post) until we couldn’t eat anymore. 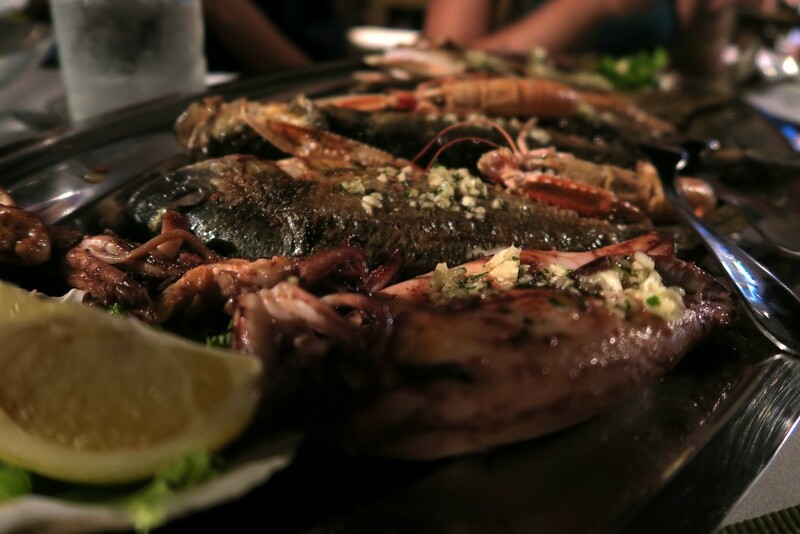 They certainly love their garlic and octopus in Croatia and I wasn’t complaining one bit – deeeelish! 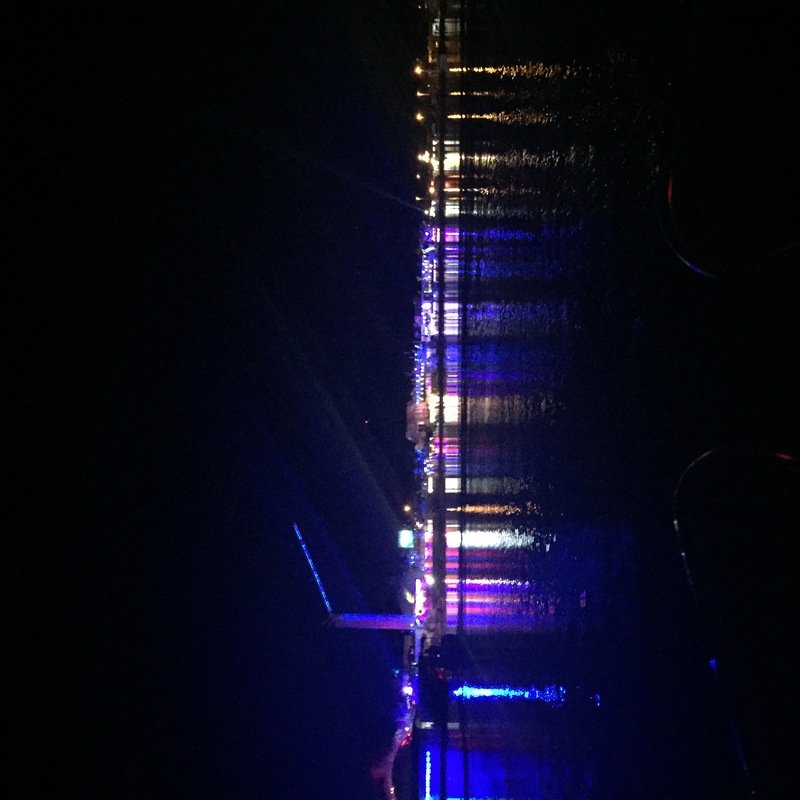 After dinner we were whisked over to the water’s edge where two speedboats were waiting to take us over to Fresh Island Festival!!! 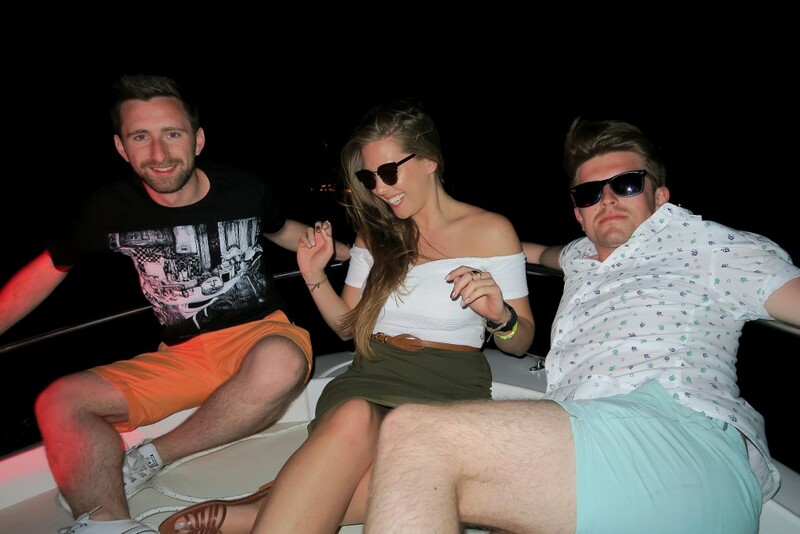 I’d never been on a speed boat before but I soon hitched up my midi skirt and hopped on the front for the most exciting boat rides I’d ever experienced – what an adventure! 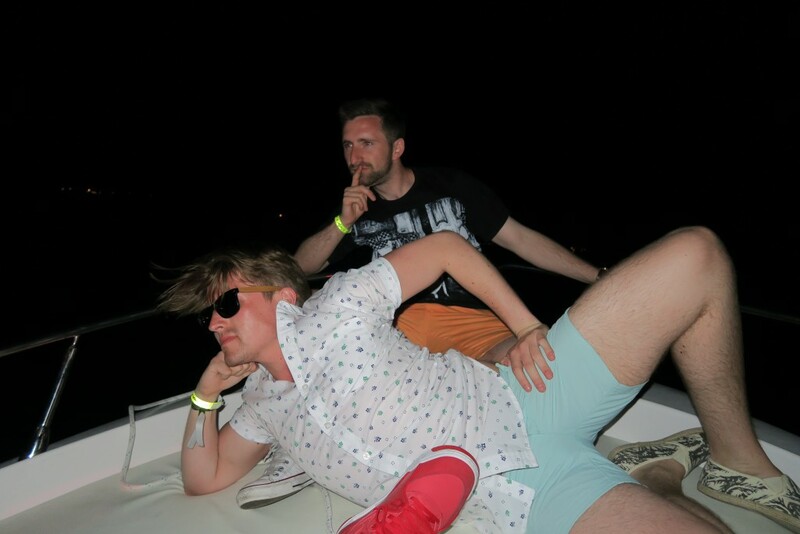 Looking cool boys – it’s like you do this all the time right? 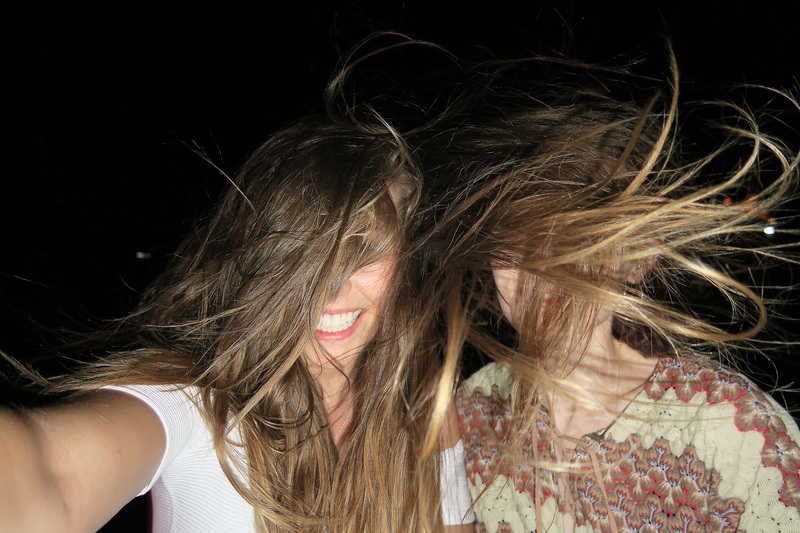 Long hair and speedboats don’t mix…Amy is in there somewhere! 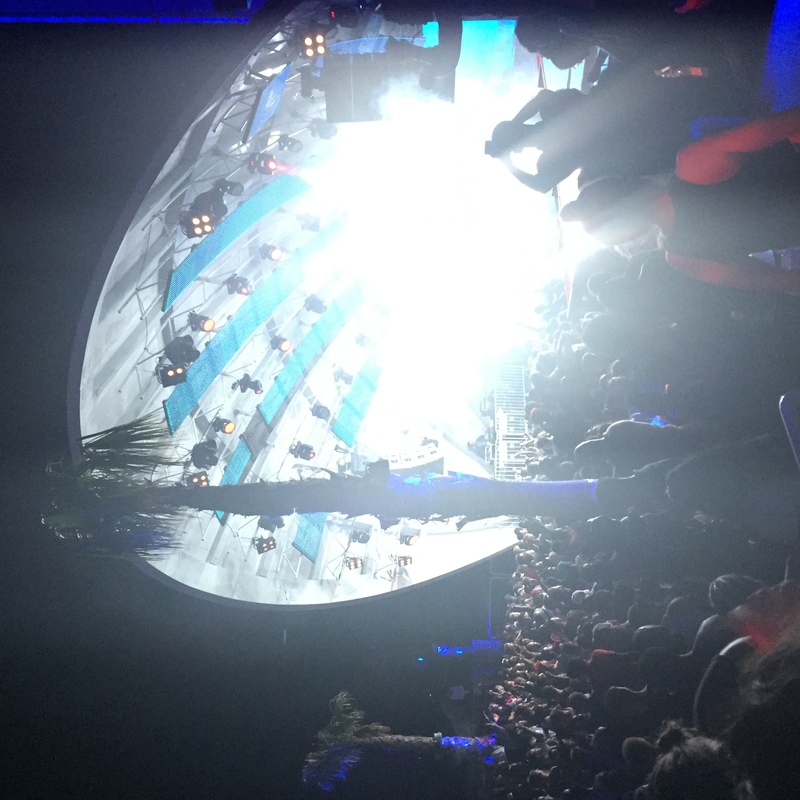 I’m more of a Croatia Rocks girl so I was a little apprehensive for my first hip hop festival and very first festival abroad full stop. But as it turns out I had nothing to worry about at all because it was so much fun! 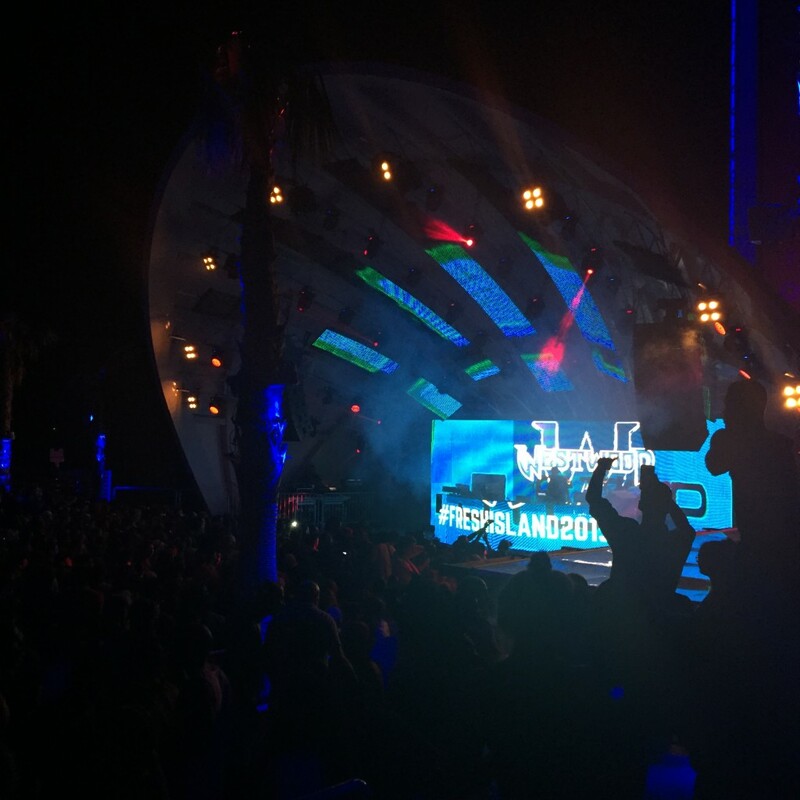 With different open air clubs set up along the beach front, DJ’s playing killer dance songs and catchy RnB artists (along with a few cheesy hits as well) we had a great time people watching and enjoying a few drinks under the lights of Fresh Island Festival. We got to our VIP booth in Papaya for the end of Time Westwood’s DJ set (yes, he’s still around) before Action Bronson took to the stage and really got the crowd jumping. 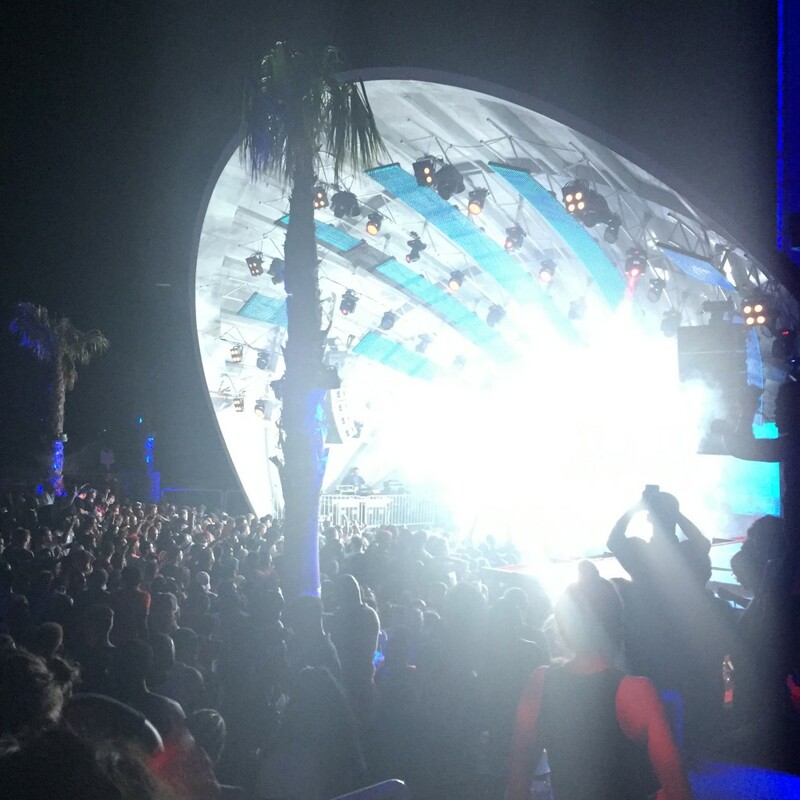 We retired back to the villa at a reasonable hour as the festival partied on through to the early hours of the morning and got some rest ready for our 3rd day in Croatia with the lights and sounds of Fresh Island still whizzing round our heads! Such an amazing day – breathtaking views at the Krka National Park followed by plates of gorgeous food and exciting new experiences on the beach festival scene! Stay tuned for more posts from my #AAAinCroatia series with sea view massages, private beaches and a trip to Zadar Old Town and don’t forget to subscribe to my youtube channel too for more travel vlogs! 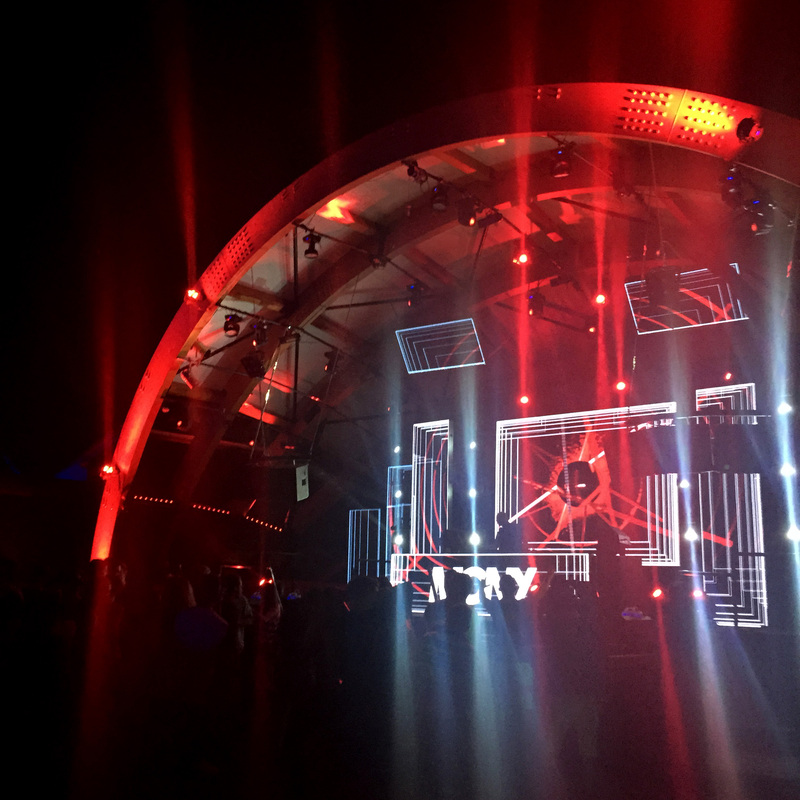 Did you go to Fresh Island Festival this year? Who was your favourite act? 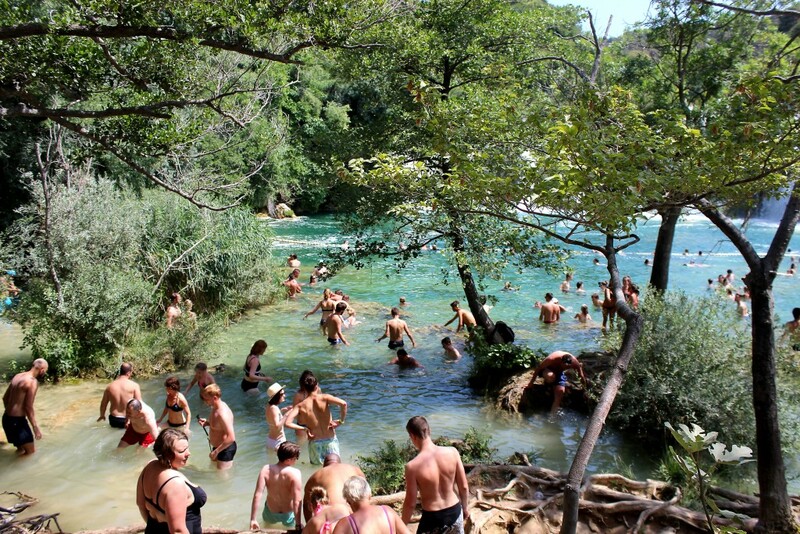 Would you be brave enough to swim in the Krka falls?